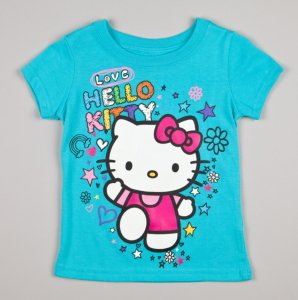 Hello Kitty Shirts & Outfits From $6.50 + 10% Off Code + Possible Free Shipping! Do you know a Hello Kitty fan? If so, you've got to check out this sale! Right now on Totsy, you can get adorable Hello Kitty shirts and outfits starting at just $6.50! Plus, all items are guaranteed to arrive before Christmas. Use the code COUPONCABIN at checkout to save another 10% off your order. If this is your first Totsy purchase, you'll get free shipping instead of being able to use the 10% off code.